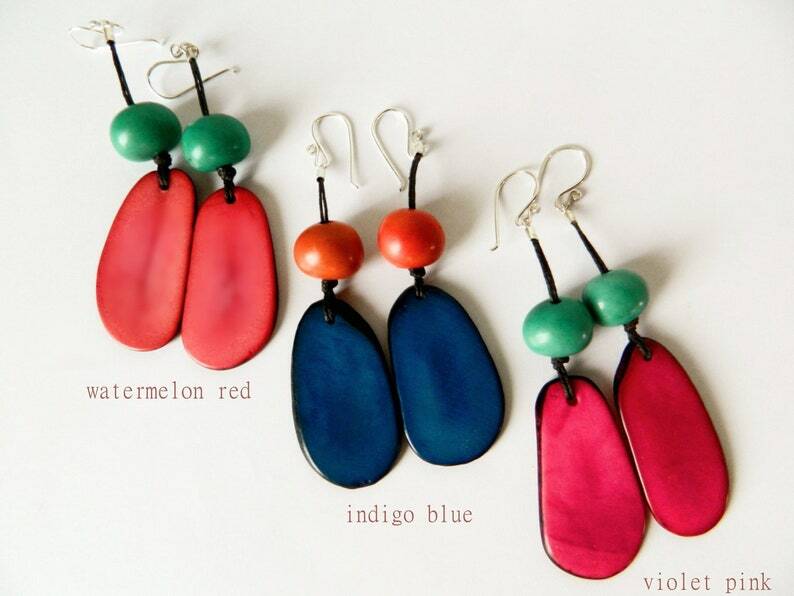 Eco-friendly statement earrings made of slices of Tagua nut dyed a warm watermelon red accented with a Bombona seed dyed a soft Pastel Aqua. Attached together and hanging by a slim dark chocolate brown double hemp cord with a small sterling silver cap and loop at the end. Hand forged sterling silver ear hooks give these earrings a modern tribal look. The vibrant colors and large size make these earrings very eye catching. 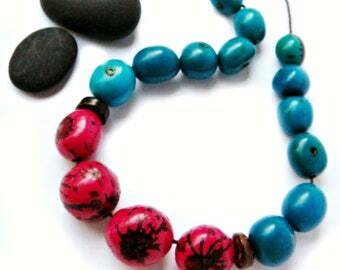 The Tagua nuts and Bombona seeds are from South America and are natural materials, no two are a like. Their organic shape, lines, veins and niches are what makes them completely unique. 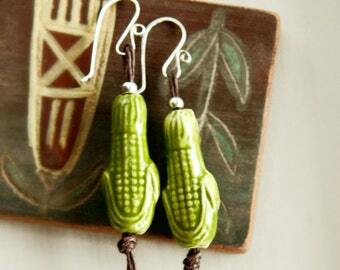 This listing is for the watermelon earrings only. The same style in hot pink and blue is sold out. 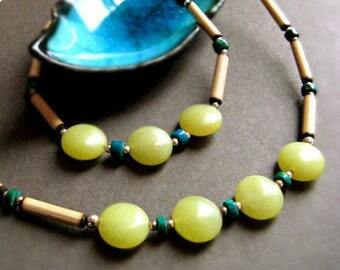 ★ The Tagua Nut is also known as "vegetable ivory" and is indigenous to the rain forests of South America. A sustainable and renewable resource that furthers important environmental and socioeconomic goals by stimulating the local economies and micro enterprises in South America, providing an alternative to rain forest destruction. 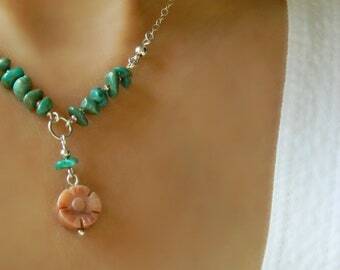 ♥ Your Eco Tagua earrings will arrive beautifully wrapped. • I make my earring hooks by hand from sterling silver wire I obtain from a manufacturer the recycles silver back into raw form. All items are shipped from California by United States Postal Service First Class which takes approximately 3-5 business days for domestic mail and 10-21 business days for international depending on your location. Please be aware of your countries restrictions, duty taxes or custom fees.